This post was contributed by Anna Holbert, Carissa Pfeiffer, and Karalyn Mark. Anna, Carissa, and Karalyn will all soon be graduating from Pratt Institute in May 2018 with MS degrees in Library and Information Science, and Advanced Certificates in Archives & Special Collections. Additionally, Karalyn will also receive a second Advanced Certificate in Conservation & Digital Curation, and as a dual degree student, Anna will receive an MS in the History of Art & Design. During their time at Pratt Institute, they have each had opportunities to hold fellowships and internships at several arts institutions. Currently, Anna is a Pratt Fellow at the Thomas J. Watson Library at the Metropolitan Museum of Art. Key projects and activities include gift comparison and cataloguing, as well as the creation of a reference database for decorated publishers’ bindings. Previous internship opportunities have also been completed at several other libraries within local New York arts institutions including the Whitney Museum of American Art and the Solomon R. Guggenheim Museum. Carissa is currently employed as an Archives Support Aide at the New York Transit Museum, and she holds a fellowship in the Frick Art Reference Library, where she assists with web archiving efforts for the New York Art Resources Consortium. She has also interned with The Barnett Newman Foundation as a Pratt student. Karalyn holds a fellowship in the Thomas J. Watson Library, The Metropolitan Museum of Art, where she is overseeing a digitization project of early photography trade catalogs and technical manuals. Previously, she served as a Library & Archive Work Scholar at Aperture Foundation. Since its creation in 1890, the Pratt Institute School of Information is notably the oldest continuous Library and Information Science program in North America, surviving Columbia University’s program which existed from 1887 to 1992. Accredited by the American Library Association since 1924/1925, Pratt’s School of Information has also been an iSchools Associate Member institution since 2016. Information Professions, Information Technologies, Knowledge Organization, and Information Services & Resources. Students can test out of Information Technologies if they have pre-existing knowledge in web basics, markup languages, and databases, and those who test out may put those additional three credits toward an elective of their choosing. One important point to address first is that it’s not an inexpensive school, and New York is not a cheap place to live. (Graduate tuition for the School of Information is less than the MFA, though.) The three of us have managed to balance working and interning throughout the course of our time at the Information School. Thankfully, class times made this possible: classes are Monday through Thursday, mostly 3-5:50 PM or 6:20-9:20 PM, with a couple sections of core classes offered earlier in the day, from 11:30 AM – 2:20 PM. The 6:20-9:20 classes are easiest for students who are also working full-time, but it’s difficult (though not impossible) to get through the entire program taking only evening classes. Another major practical benefit is that only a few classes require the purchase of textbooks. Most reading materials are made available through Pratt’s online subscription databases or on course reserve at the Manhattan Campus Library. We probably don’t need to remind any prospective librarians of this, but taking advantage of other area libraries, ConnectNY, MaRLI, and Interlibrary Loan is, y’know, a good idea. Pratt’s main campus is located in Brooklyn, but most classes in the LIS program are taught at the Manhattan Campus on 14th Street. A few courses are taught off-site at libraries around New York City (more on this below!) We recommend checking in with the Pratt Institute SI Office regarding off-campus course meeting times and locations. Generally speaking, courses at Pratt are small in size and typically consist of 11-12 students per class (according to a recent tweet). We’ve enrolled in classes with as few as 6-8 students, often in formats that emphasize discussions and project work. These smaller class sizes definitely allow for increased opportunities to ask questions, contribute, and get to know your professors as well as your classmates, who may well become lifelong mentors and colleagues. From what we’ve seen, alumni of Pratt tend to remain involved well past the time they graduate, and we’ve gotten the opportunity to know several through guest lectures and professional panels. It’s possible to do plenty of research before selecting courses each semester. In our experiences, many professors don’t send out syllabi prior to the first day of class, which can be a little anxiety-inducing. (Or is it just me?) Between meeting with your advisor, talking to a librarian at the Manhattan Campus Library, and checking out the syllabus archive, you’ll be able to get a pretty good idea of what you’ll gain from specific classes and instructors before you sign up. 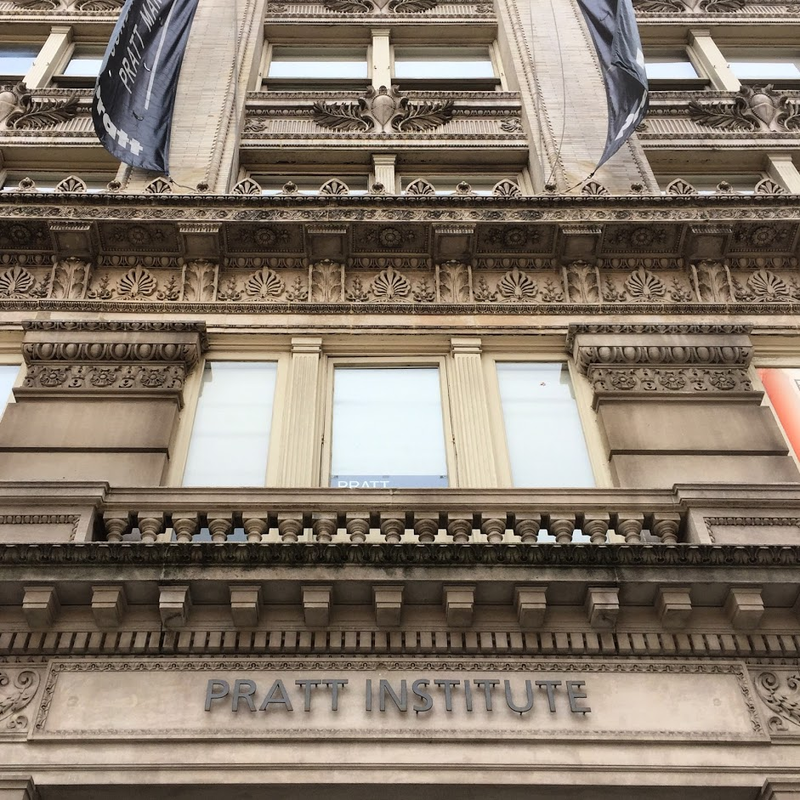 The facade of Pratt’s Manhattan campus building, where most LIS classes meet. Pratt School of Information doesn’t specifically offer a track designated as “art librarianship,’ but there are plenty of art librarians who have graduated from this program! This is thanks in part to being part of an art and design school, being located in New York, and having a few other specific tracks that are especially useful for anyone considering this route. There is an Advanced Certificate in Museum Libraries, which emphasizes courses relating to museum collections and services. Students interested in museum librarianship can also take additional elective LIS courses from within the curriculum for the MS in Museums and Digital Culture; while those interested in being a librarian at an art & design school can pursue a program concentration in Academic/Research Contexts. Some classes are offered more frequently than others. Browsing Pratt’s online syllabus archive is a good way to see what typical semesters have looked like in the past and what each class entails. For those interested in exploring the crossroads between art and information, or in pursuing careers ranging from curation to art librarianship in academic and museum contexts, the MSLIS/MA History of Art & Design dual degree may be a good fit. History of Art & Design courses are most typically held on the Brooklyn campus, with the exception of the occasional design class at the Manhattan campus. It is up to the student how course fulfilment will be divided, with the flexibility of taking LIS and Art History classes simultaneously. Although many full School of Information faculty members are not focused primarily on art librarianship, Pratt employs several excellent visiting professors who are practitioners in museum libraries and art and design school libraries. 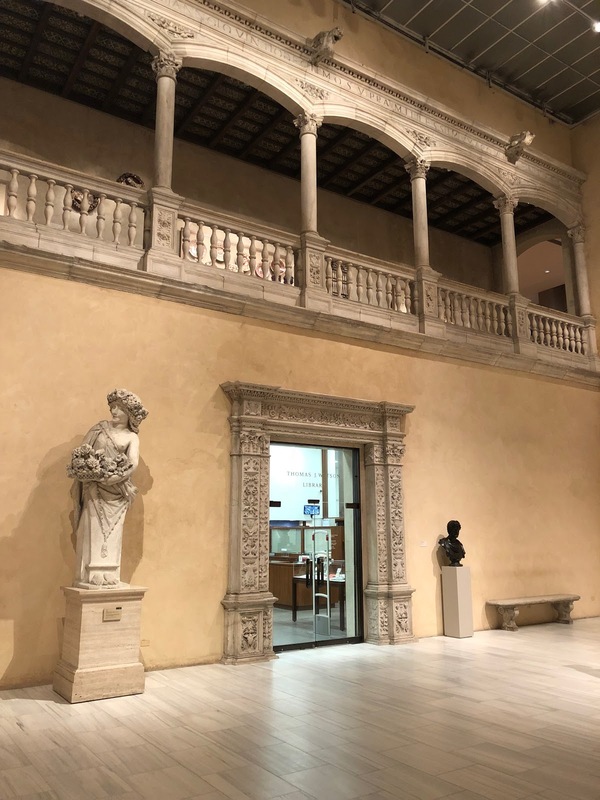 A major strength of the program for aspiring art librarians is the ability to learn from and work with people at world-class cultural heritage institutions. In Fall 2017, each of the writers of this blog post were enrolled in–and loved!–the Art Librarianship class (LIS 667), which is essential to any Pratt students seriously considering pursuing art librarianship as a career. This course is a survey of the practice of art librarianship from the perspective of a museum librarian, and is currently taught by Kenneth Soehner, Chief Librarian, Thomas J. Watson Library, The Metropolitan Museum of Art. Topics covered in Art Librarianship include professional standards and competencies, collection development and organization, special collections, the art book trade, reference services, copyright, digital art history, and others. Through lectures and research projects, students develop a familiarity with the resources of an art library, including print and online reference sources: indexes, collection catalogs, databases, catalogues raisonnés, trade literature, and visual resources. 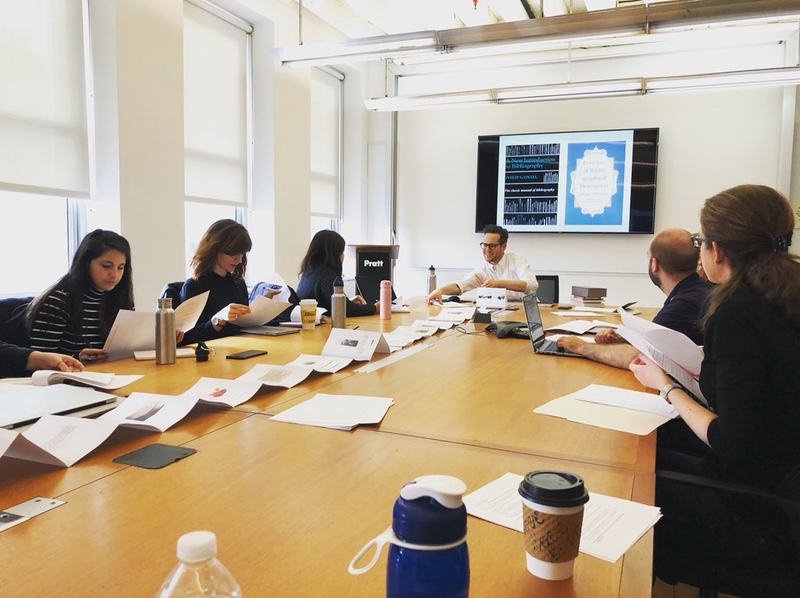 Our class frequently met at the Met’s Watson Library, and throughout the course, students made use of the Watson Library’s collection, print, and digital resources. 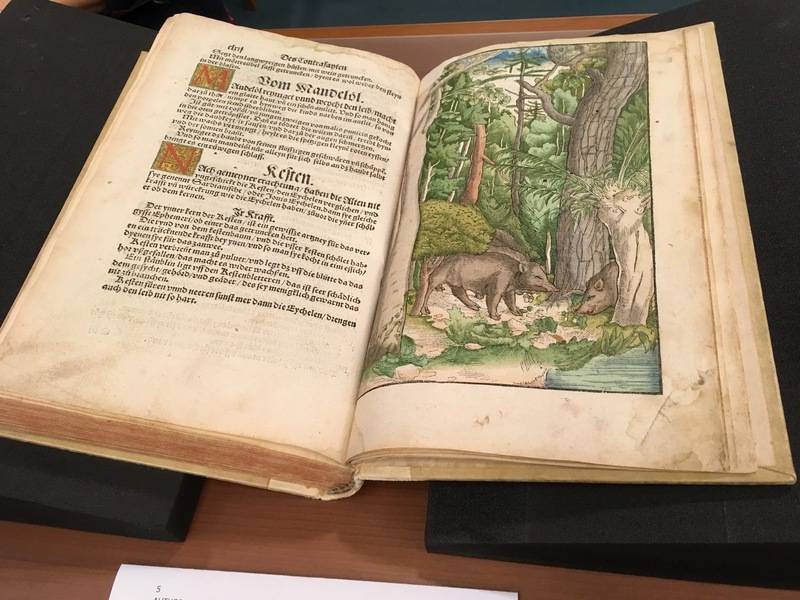 Members of the Library staff presented a series of guest lectures on the history of artists’ books, digitization initiatives, pest management, exhibitions, and development. We also visited the School of Visual Arts (SVA) Library for a tour! The entrance of the Thomas J. Watson Library, The Metropolitan Museum of Art, where the Art Librarianship class usually meets. Other electives to check out include Art Collections: Research & Documentation (LIS 629, held at the Metropolitan Museum of Art) and Rare Books & Special Collections (LIS 689, held at the New York Public Library and Pratt Manhattan). Each of these involve hands-on interaction with materials in the context of their own collections. Other classes that are similarly haptic include Conservation Lab, which takes place at Brooklyn College, and Management of Archives & Special Collections, which has taken place at various locations over the past few semesters. Internships are not required for the general LIS program, but they’re the best way to truly take advantage of NYC’s status as an art hub and to get involved in the professional world of art librarianship as a student. At the end of the day, this is really where the program shines. There are so many opportunities for ensuring that you’re not leaving with only a degree but also with experience and connections. Although not a requirement for the general program, internships are required to earn any of the Advanced Certificates. For a certificate, you must also enroll in a Practicum course, which meets only a few times throughout the semester, and mainly entails developing a paper or online publication about the work performed during your internship. Pratt offers several fellowships that provide funding which can be put toward tuition and to fulfill the work experience requirement for the practicum. Students also have the option of applying internships and fellowships found independently toward the Practicum course. The listserv is also the best way to find out about meetings, workshops, and events led by student groups. Pratt has student chapters of ALA, SLA, ASIS&T, and SAA, all of which have been active during our time in the program. We’ve traveled to Washington, DC and taken bookbinding classes at the Center for Book Arts with Pratt ALA, attended a weekend workshop on the history of artists’ books, listened to panels of former students describe the paths they took after graduation, and attended a tour of The Mertz Library & Archives at the New York Botanical Garden with SAA @ Pratt. Upcoming this semester are workshops on Wikidata for culture data, digital privacy, mapping, and more. Beyond Pratt, if you can swing it, student memberships in regional professional organizations are also good opportunities for networking and workshops. ARLIS/NA is, of course, recommended! (Shoutout to all the alumni we met at the Pratt Happy Hour at the annual conference!) ARLIS/NA’s New York chapter hosts several tours and events throughout the year. The New York Metropolitan Library Council (METRO) also offers good options for supplementing your classes with workshops in specific topics and for networking within specific interest groups. As seriously as you take your papers, projects, and internships, it’s important to leave some time to enjoy the plethora of incredible galleries, museums, libraries, archives, and historical societies throughout the city. Any aspiring art or architecture librarian will find plenty to inspire their mission. And feed your other interests! Whatever you feel passionately about, chances are NYC has an annual festival, a center, and a vibrant community for it. This city has a reputation for grinding people down, but it has equal potential to lift you up, if you keep your goals in sight and stay attentive to your needs. Between the three of us, we’ve been quite pleased with Pratt’s MSLIS program. Whether our initial reasons for choosing the program were geography or a specific interest, we’ve found that there’s a solid breadth of course offerings and electives to round out our education. The Library Science program itself is small, and it’s very easy to become ‘at home.’ Pratt not only opened our eyes to our options, but also helped us gain practical experience and professional connections. We’ve particularly benefited from internship and fellowship experiences during our time as graduate students, and we’re grateful for how hands-on our experiences have been. Welcome Our New ArLiSNAP Co-Moderator, Michele Jennings!